Professor Dr Syeda Saliha Hassney is one, who has served her mother institution University of Sindh in an unprecedented way. She was born on March 1st, 1950 in a respectable family of Syed Abdul Wali Hassney at Nawabshah. Her family shifted to Hyderabad during her childhood. She got early education from Saint Maries School Hyderabad. After that, she passed matriculation from Nazareth High School Hyderabad and did intermediate from Government Girls College Heerabad, Hyderabad. She did Msc in Botany from University of Sindh Jamshoro. This even couldn't quench her thirst of knowledge. In order to quench this thirst of knowledge, she left for Australia, in 1978 where she did MS Biology from University of Sydney, Australia that was one of the difficult phases of her life because her younger brother Wasim Akhtar Hassney passed away from this mortal world. Although it was a great shock for her but God gave her patience and perseverance that can overcome mountains. Thereafter she did PhD from same university of Australia in 1988. Her research topic for PHD was “palynology of calendrinia”. She researched for her Phd from Harvard University and Sydney University. Her viva for Phd was conducted in Pakistan by a distinguished taxonomist Dr Ali who is now Director General of Dr Abdul Qadeer Khan Institute of Biotechnology and Genetic Engineering (KIBGE). She returned from Australia in1988 and became lecturer in the Institute of Plant Sciences. Here she also did specialization in genetics from University of Sindh Jamshoro. 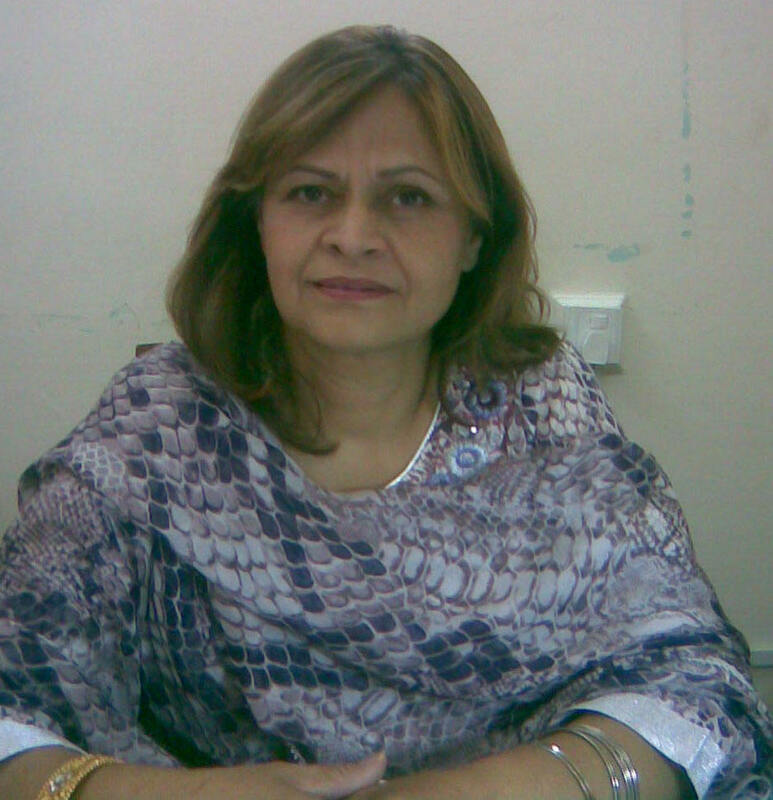 She became Director Institute of Plant Sciences at University of Sindh Jamshoro on September 10, 2009. She performed her responsibilities in a dignified way and produced many young and thirsty students who are doing research in their fields. She retired from directorship on 25th February, 2010 and presently, she is serving this institute as visiting faculty. She has written approximately 40 research papers and a monograph of world level and worked for flora of Pakistan and Central Australia. She also did post doctorate from Reading University of UK faculty. She says that life is the name to do something, as far as I am concerned, I also want to do something. Every one wants success and the path to success are beset with many difficulties. According to her, “a successful man is one who can lay a firm foundation with the bricks that others throw at him”. Every student and employee of her institute eulogizes her determination, courage and sincerity to work. She is unique in personality, always imparting knowledge to students, persuading them to work hard, respect their elders and bow down before God. After so much hard work and experiences in life, she says that we learn a lot from our daily experiences, observations, ups and downs which help to revamp our thinking, perception and helps to be optimistic in character. She has a lot of experience in Micro Morphology, Plant Taxonomy and Paleontology but she doesn't feel proud of it and says neither I am superior nor less than others, I am just in between them. Dr Hassney is an example for all of us to be adopted as role model in order to succeed.